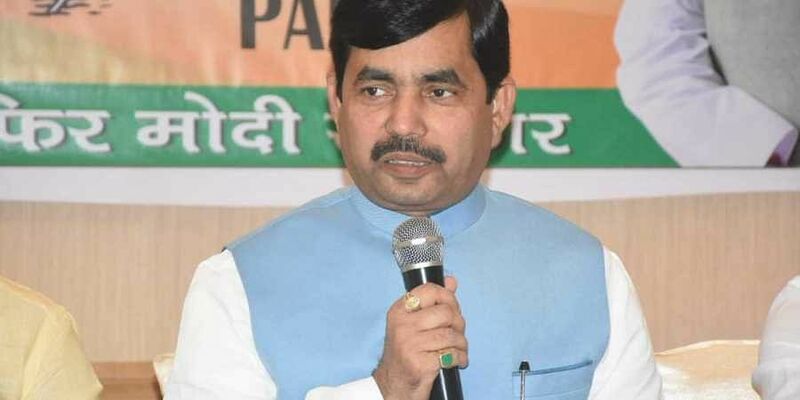 BJP spokesperson Syed Shahnawaz Hussain said that Congress is raking the Rafale issue because Christen Michel is spilling the beans on the AgustaWestland scam. PANAJI: The Congress is raking the Rafale issue because arrested middleman in the AgustaWestland deal Christen Michel is spilling the beans on the VVIP chopper scam, BJP national spokesperson Syed Shahnawaz Hussain said on Saturday. Hussain, at a press conference at the Bharatiya Janata Party's (BJP) state headquarters here, also questioned Congress President Rahul Gandhi's repeated raking up of the Rafale deal despite the fact that Defence Minister Nirmala Sitharaman and Finance Minister Arun Jaitley explained the nuances of the fighter jet deal for hours in Parliament. "To distract people from the issue (VVIP chopper scam), they are raking the issue of Rafale. They even made a doctored tape in Goa. They know Congress is a party of frauds. They only make fake allegations," he said. The national spokesperson said the Congress had to face a setback on the Rafale deal often, and that its leaders kept lying over and over again to keep the facade going. "Congress kept lying on it. Congress thinks it is above the Supreme Court and the Parliament," he said.